Dog bites can be serious, but unfortunately, they are often not treated so. Dog owners mistakenly believe that if their dogs bite, it is for a good reason. Maybe the victim was antagonizing the canine, or the person bit was a trespasser. As a result, many dog owners do not take responsibility for their dogs’ actions, and many dog bite victims do not force the issue, but they should. 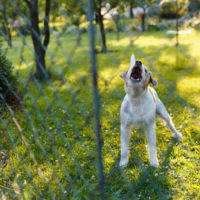 If you were bit by a dog on public or private property, and if the bite caused monetary loss or other damages, you may be able to press charges against the owner for negligence. Reach out to your Tampa dog bite attorneys at Barbas, Nuñez, Sanders, Butler & Hovsepian to learn more about your rights and how you can exercise them. That they were lawfully allowed to be on the property on which the incident occurred. For instance, if a dog bites a mailperson, the owner would be liable, as a mailperson is lawfully allowed to be on private property so long as he or she is there to perform the duty imposed by him or her by state or federal law. If an invitee of a property is bitten, whether he or she is a personal friend or a contractor, he or she may bring a suit against the property owner. If a dog bites a child who is under six years of age, the owner is automatically held liable, even if the child was not implicitly invited onto the property. It is important to note that invitation can be expressed or implied. Dog bite injuries range in severity. Some bites result in nothing more than a nick that leaves the top layer of skin slightly scratched. Though these types of bites can leave a person wary of dogs, they are not likely to impact a person’s life in any other way. These types of bites are not worth filing claims over. Other bites, however, result in ripped muscles, torn ligaments, ruined tissues, and more. These bites require extensive medical attention and possibly surgery. They often result in missed work and outstanding medical bills. Dog bites of this magnitude are worth filing claims over. If you were bit by a dog, you need to prove that your bite was either very severe or that it impacted your life in some way (outside of giving you a newfound fear of canines). Generally, you can do this by presenting medical records, medical statements, and documentation of missed work and lost wages. Even with the right evidence, you may have a tough time recovering the compensation you need to compensate for your injuries. A qualified Tampa dog bite attorney can help. The lawyers at Barbas, Nuñez, Sanders, Butler & Hovsepian understand how great of an impact a dog bite can have on your life, and we are equipped to use that knowledge to fight for the best possible settlement on your behalf. Call our Tampa personal injury firm today to schedule your free consultation.